Careers at Tiffany & Co. come in many styles. All require a passion for excellence, a commitment to the highest standards of professionalism, and respect for the bold elegance of our global brand. Working with us will challenge you to achieve your very best. Consider the opportunity to join us now. For creative people, the chance to work with our iconic luxury brand is truly exciting. We will celebrate and reward your originality as you design objects of extraordinary beauty, develop innovative marketing tools, and create visual displays of impeccable taste. You will also have the chance to collaborate with a world-class network of established artistic partners to produce work of such high caliber; it could only have come from Tiffany. Click here to find an opportunity that matches your skills and talents. When you join Tiffany, you become part of a dynamic organization where analysis takes on a critical level of importance and plays a key role in decision making. Through your analysis of our product, suppliers or financial results, you will have an impact on our overall business, which provides opportunities and experiences that are unique to Tiffany. Click here to begin searching for opportunities that meet your career goals. 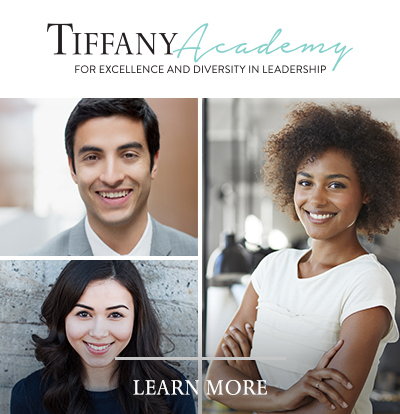 For people who have the ability to guide and inspire others, Tiffany is the perfect place to develop your leadership potential. All of our corporate, operations and retail career paths offer the opportunity to receive comprehensive management training that will help build your business acumen as an effective leader. We have management positions throughout our divisions, regions and countries where you can grow in breadth and depth, while also strengthening our global leadership pipeline. Click here to learn about opportunities in your area.